I pastored only one church during my nearly 40 years in ministry, but in that time I pastored a plateaued church, a growing church, and a declining church. These labels are, of course, in reference to the numerical size of the church. In fact, it was in the last years when I believe I was at my best as a pastor, when we had great leadership, and when we had initiated some significant and positive changes that we were declining in attendance! Why were we declining when we were “doing church” better than we had ever done it? Few circumstances discourage the heart of a pastor more than when there’s little or no, or even declining, numerical growth. OK, maybe it shouldn’t be that way, but it often is. 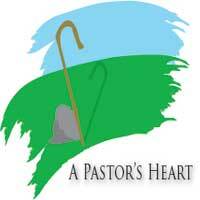 That’s why I found a blog post by small church pastor Karl Vaters to be so encouraging. “We Followed the Steps – Where’s the Church Growth” is the title of the post. Go to his blog, pivot and be encouraged! While you’re there, check out his other blog posts.